In the March edition of our Preemie Family newsletter we learned about preemie “Superman TJ” who was born at 26 weeks and 5 days and weighed in at 1 lb. 15.3 oz. and spent 78 days in the NICU before coming home. 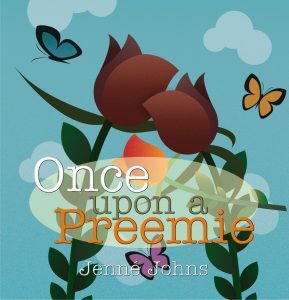 Read more in an update by his mother and Author of Once Upon a Preemie, Jenné Johns. Superman TJ came busting into this world early because he just couldn’t wait to explore life! During our time in the NICU Superman TJ proved to be both a miracle and a fighter. He overcame each health challenge faced in the NICU head on, and was determined to survive! Of course, he had the daily love, comfort, and nurturing of Mommy and Daddy! Superman TJ loved Kangaroo time, daily story time, prayers and songs. When he was strong enough, he really enjoyed bottle feeding. As we moved closer to discharge week, I knew Superman TJ’s first visit home was real once he passed his car seat test. I smiled, cried, and screamed because I was overjoyed that this day was soon to come! I felt like our prayers were finally answered. On discharge day, our nurses congratulated us, and reminded us that once we left the NICU, we would no longer have them around to do midnight diaper changes, bottle feeding, burping, temperature checks, and baths. While we laughed and said, we can’t wait to take over, boy were we in for a ride! Superman TJ came home with a few medications, and received weekly physical therapy (PT) for 11 months. He made such good progress during this time, he even attempted to take a few first steps! Currently, Superman TJ has a few health challenges as a result of his prematurity including mild intermittent asthma, chronic lung disease, acid reflux, and food allergies. He doesn’t allow these health hiccups to stop him! He is an active, inquisitive, talkative toddler who is mentally, physically, and emotionally developing at the same pace as his full-term peers. He loves sports (especially soccer), exploring mother nature, building blocks, puzzles, and pizza. He must remember our daily reading time together in the NICU, as looks forward to our bedtime story reading each night. We read three books together each night. It’s such a blessing to watch him grow, as he has an amazing smile, bright beautiful eyes, a contagious laugh, a sharp mind, and a great sense of humor. First, pray and meditate. Keep a daily scripture, prayer, or positive affirmation close to your heart. When you need it, reference it to lift your spirits. You should also keep positive images (at the forefront of your mind) of your baby coming home with you. Second, ask questions and take notes. The more vocal and engaged you are, the better your child’s care will be. 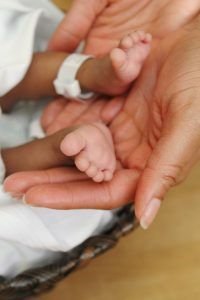 Demand answers and keep notes to track your baby’s status from your perspective as a parent and share your observations with the NICU staff. Third, use Parent Intuition and Trust your Gut! Speak up if something does not feel right! Ask to be included on the clinical rounds when your baby’s care is discussed. Like me, if you can’t participate, make sure your concerns are represented and get follow-up briefings.